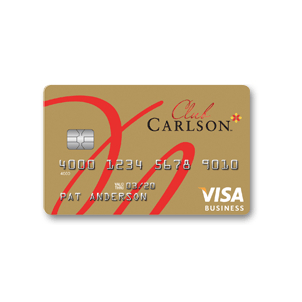 10 points per $1 spent in eligible net purchases at participating Carlson Rezidor hotels. 5 points per $1 spent in eligible net purchases everywhere else. 40,000 renewal bonus points each year when you renew your card. Earn one free night when you charge $10,000 then renew your card. 13.99% to 22.99% based on your creditworthiness.